ADVENTIST WORLD --- Wild-eyed conspiracy theorists running backwoods independent prophecy ministries from cabin studios across North America are running competing fundraisers to cash in on today's solar eclipse. Union College eschatology experts have researched several dozen Adventist supporting ministries, each with wildly different claims about the prophetic significance of the August 21 eclipse. 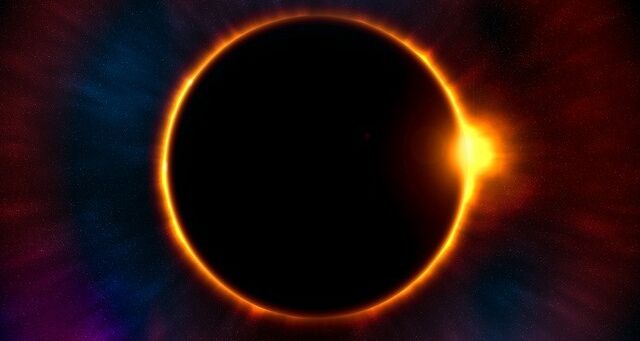 "About the only thing all these ministries can agree upon is that the solar eclipse is a great time for Adventists to donate to their coffers," said lead researcher Día Oscuro. He added that eclipses are "pretty lousy prophecy fulfillment indicators" as they are highly predictable and have clear, scientific explanations. "We Adventists love to hunt for signs of the times," said Oscuro. "But anyone that tries to tell you today's solar eclipse is foretold in Revelation either just launched a fundraiser or flunked out of seminary. Chances are he did both." Yo-should I believe in the scientific theory or the Bible? I am a bit confused here! BEWARE OF THOSE WHO PROFIT $$ FROM RELIGION. STAY AWAY!! YOU DO NO NEED TO GO TO CHURCH TO BE CLOSE TO GOD. IN FACT IT CAN SOMETIMES LEAD YOU AWAY. ONLY THE BIBLE HAS ALL YOU NEED AND THE TRUTH. HUMAN NATURE CAN AND WILL ALWAYS RUIN THE GOOD GOD GIVES US.